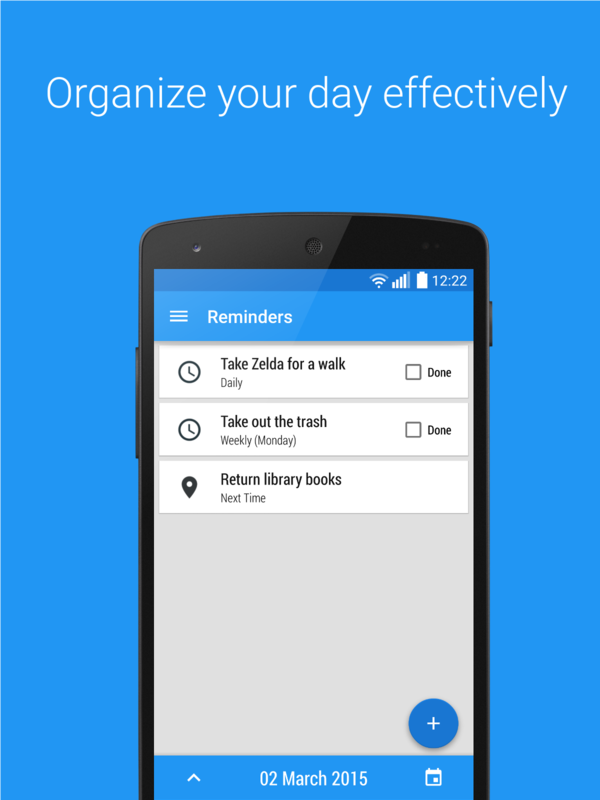 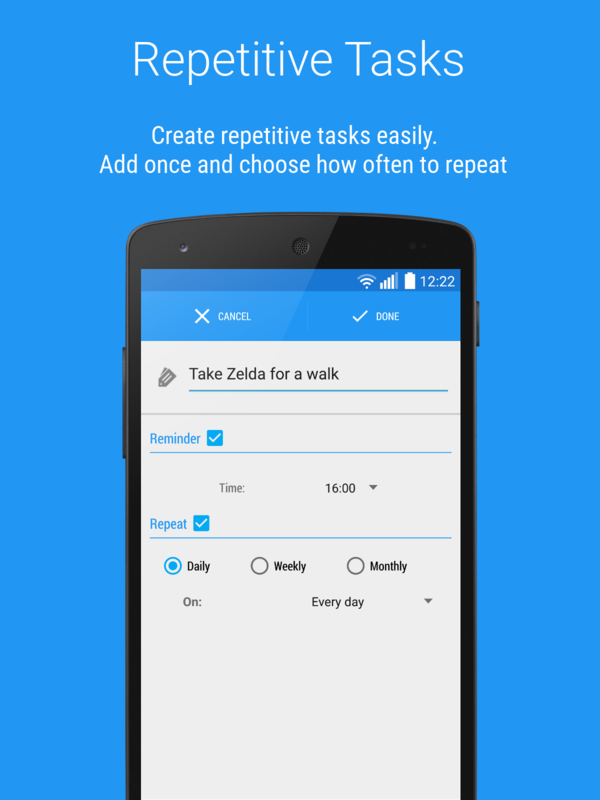 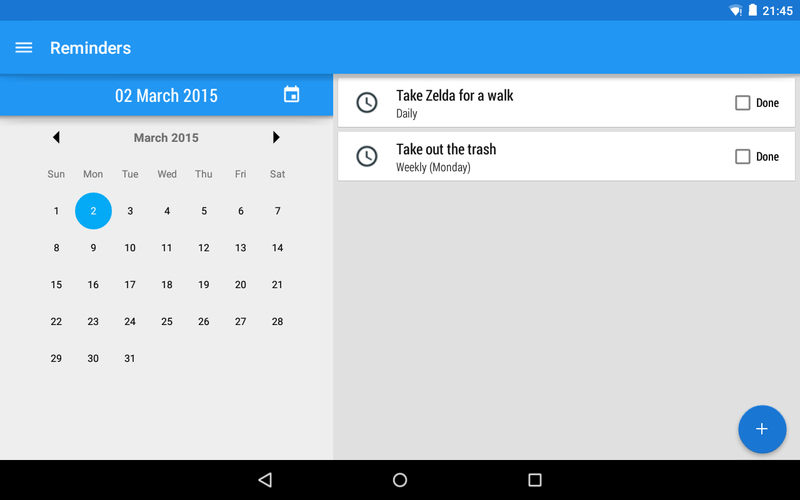 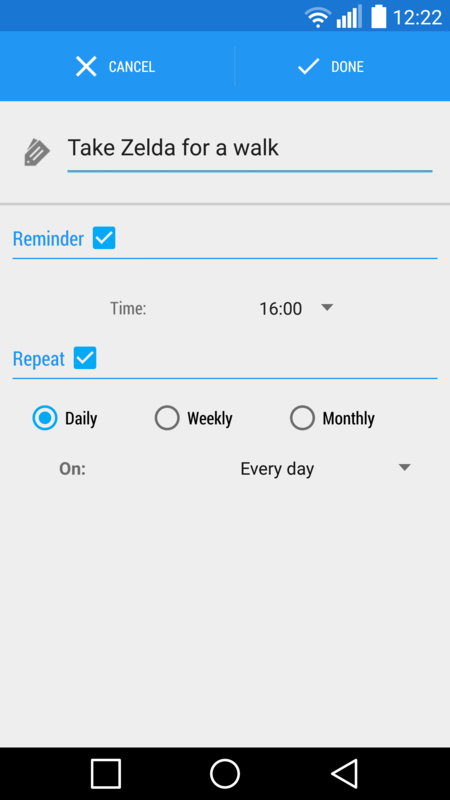 Reminders is a hassle-free reminder app, built from the ground up for Android – it’s beautiful, elegant and simple. 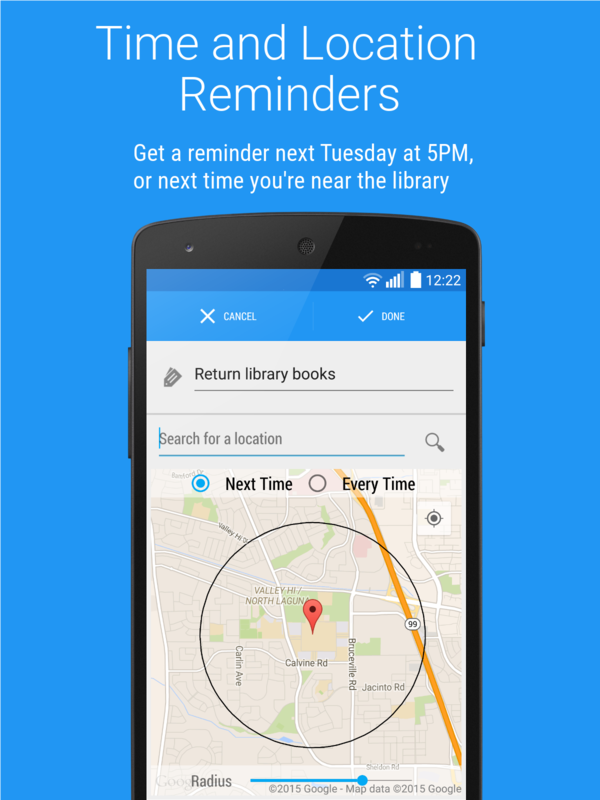 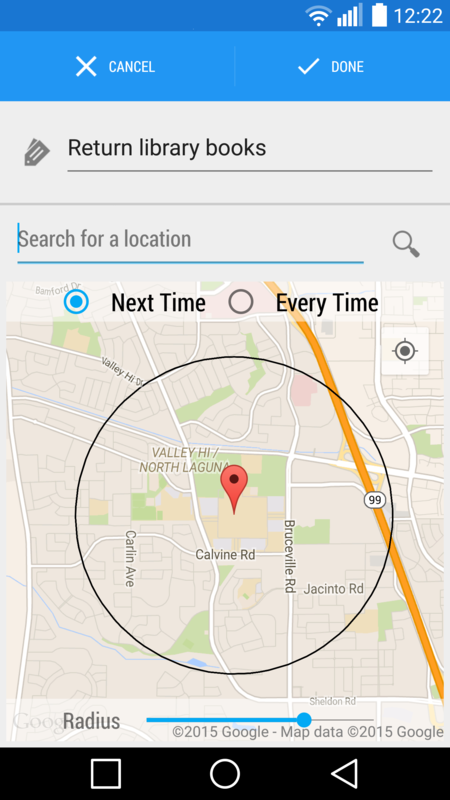 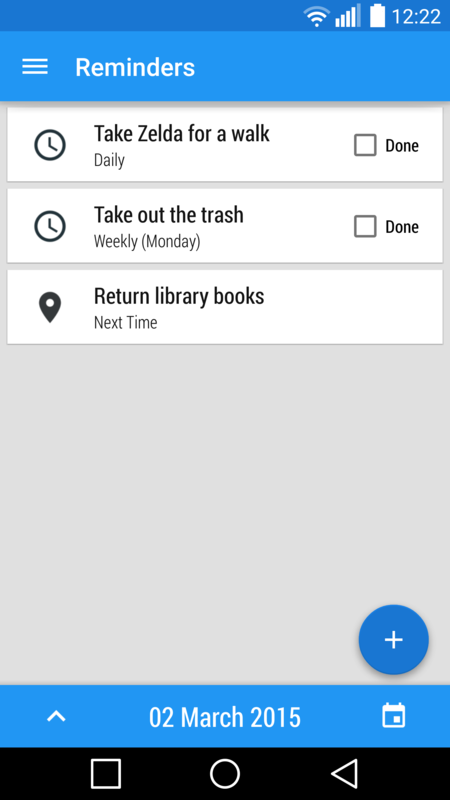 Whether you want to be reminded every Tuesday or next time you’re near the library, Reminders is the perfect app. 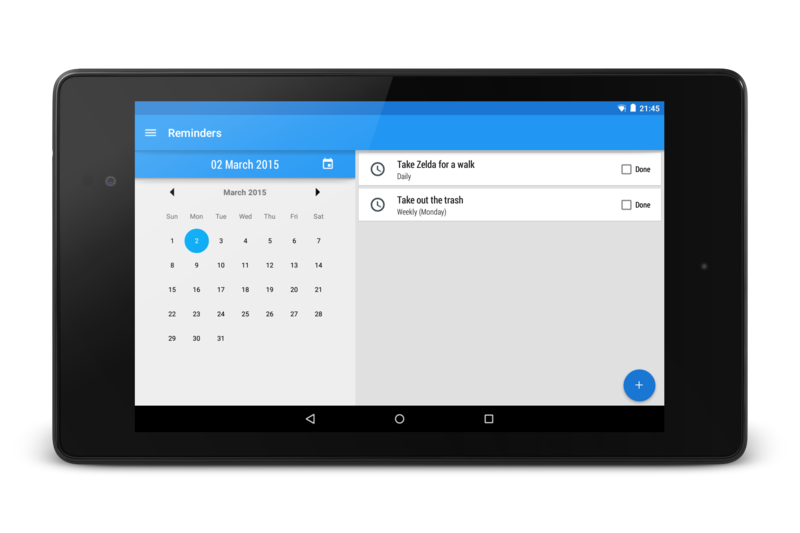 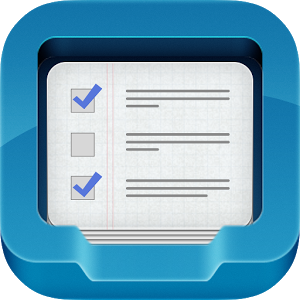 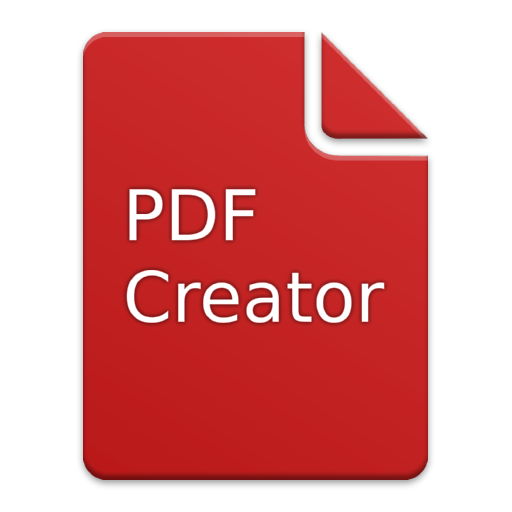 With time and location based reminders, remembering your tasks has never been easier.